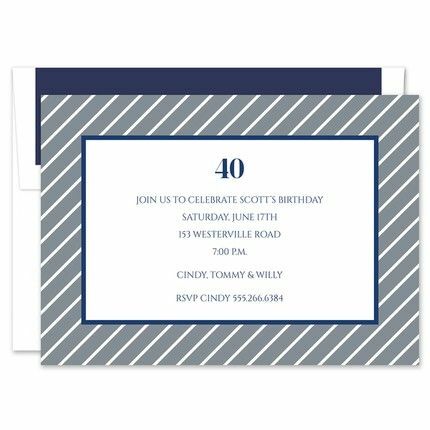 This stylish flat card can be personalized for any event. A stately gray and white striped border surrounds your exciting event details. Your personalized text can be printed in your choice of fonts and colors for a truly custom look.